Fortymile Gold Placers is a placer gold mining company located in the Yukon, in northern Canada. We operate as a registered partnership. 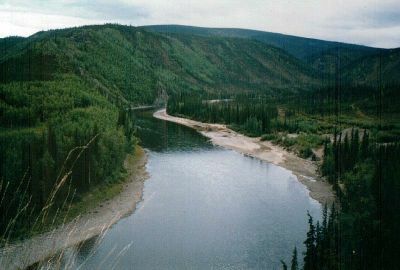 The Fortymile River straddles the Yukon/Alaska border, with its headwaters in Alaska and its confluence with the Yukon River in the Yukon Territory. 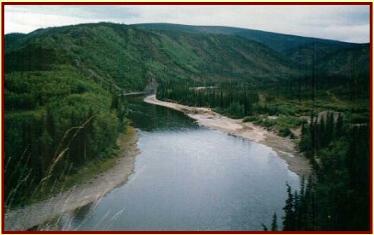 The Fortymile district was the site of the first gold rush in Yukon\Alaska in 1886. It has an extensive history of gold production - more than 800,000 troy ounces of gold have been produced, with massive reserves remaining. 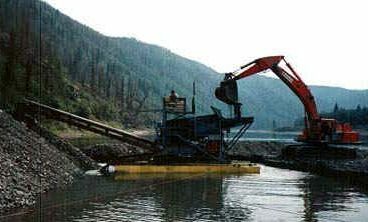 We have held a large placer mining property on the Canadian section of the river for more than 30 years. Our property encompasses the majority of the Canadian portion of the river and its most productive tributary creeks, including more than 400 claims and 23 miles of dredging leases. This property has operating permits in place for large scale development. The concession is for sale. We have undertaken extensive development on the property. Our focus has been to develop and implement mining methods which are cost effective in extracting the gold resource and which minimize the environmental impact of mining. We currently mine with a large scale floater dredging operation on our dredging leases. As well, we have a mining operation extracting placer gold from the terrace gravels. We refer to the gold we mine as ''green gold'' because it is produced without chemicals, and restoration of the mined area is ongoing and thorough. Our operations have gained several environmental awards over the years. Floater dredging on a bar on the Fortymile River. Our property encompasses the 23 miles of the Fortymile River drainage which is in Canada, as well as several of the most productive tributary creeks.